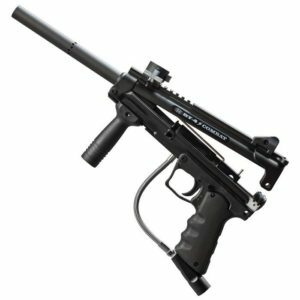 EMPIRE BT 4 G36 Slice Combat marker is crazy easy to maintain, even when on the paintball field under air. Quick strip pins allow tool-less access into the internals for field stripping in seconds. The Slice can accept many upgrades and this proven engine means you’ll be able to play all day with no problems. 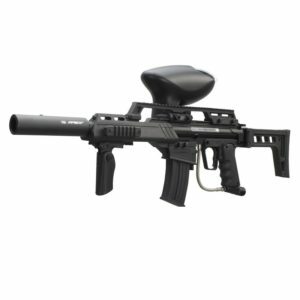 This reliable and accurate marker is the obvious choice for use in your scenario or woodsball event. The front grip is removable and the military standard dual Picatinny rails accept many tactical upgrades like optics and other accessories. 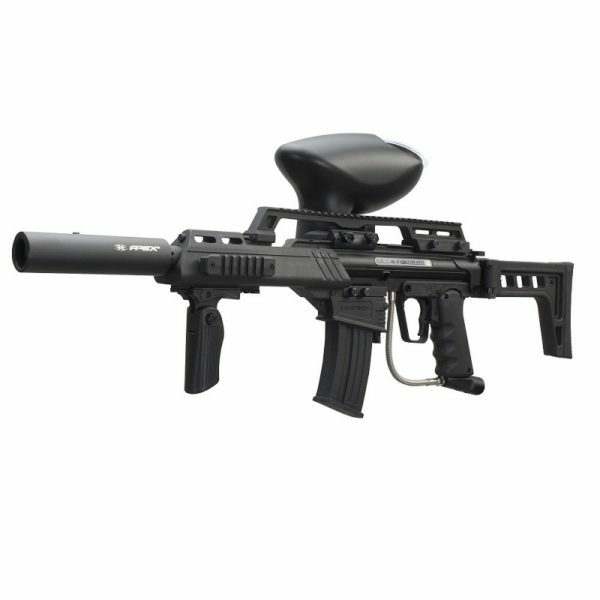 The trigger system can be enhanced with by installing the Double Trigger and Electronic Grip Frame to increase your rate of fire. With available upgrades like the side-mounted Rip Clip™ and Apex2™ Barrel system.